Governments must create inclusive spaces for dialogue with street vendors and craft policy to support their livelihoods and economic mobility. Photo by Carlos Penalba/Flickr. As previously discussed on TheCityFix, many cities worldwide are facing a series of challenges around informal economic activity. As they begin to modernize and transform public spaces, street vendors are often left behind or swept away. Yet, these efforts at ‘modernization’ endanger not only the people who depend on the informal sector, but the entire city economy. In Lima, Peru, it is estimated that 5.4% of total employment is in hawking of some kind, while in India the total number of street vendors is estimated at over 10 million. City leaders are beginning to recognize the enormity of this phenomenon, and to understand that large-scale evictions are both unfeasible and short-sighted. Instead, cities must engage directly with vendors, creating platforms for them to shape the policies that impact them while contributing to and benefiting from economic development. Any response to the challenge of informal economies demands a common ground of mutual confidence. Governments are wary of economic activity outside their control and bemoan tax revenues lost to the informal sector, while vendors worry about government encroaching on their ability to make a living. Many cities have attempted to bring hawkers into the formal economy. But street vendors, who often end up paying a great deal in bribes and informal fees in order to operate in the supposedly ‘unregulated’ informal economy, have worries of their own. They fear – often justifiably – that increased formality will increase their costs and prices, cut them off from their customer base, and create insurmountable obstacles to doing business. Creating a basis of trust and a space for negotiation is the first step in overcoming these concerns on both sides. Local governments must also create spaces for debate and negotiation accessible to vendors. There are numerous examples of cities doing just this. Nairobi City Council Stakeholder’s Forum, created in 2006, convenes the municipal government, the formal private sector, hawkers, and other informal interests to promote mutually beneficial policies. Surakarta, Indonesia brought together local government agencies, the regional parliament, NGOs, and vendors in a public debate in 2006. They reached an agreement between vendors and government on the relocation of thousands of vendors to established markets. Similar efforts at relocation in nearby Jakarta failed without this space for debate. In India, where vendor evictions are still alarmingly common, a new bill looks to bring informal vendors into the planning process. The bill would create Town Vending Authorities with at least 40% membership from street vendors, who would be selected by vote and of which one-third must be women. This measure ensures participatory decision-making around street vending activities like the definition of vending zones, preparation of street vending plans, and surveying of street vendors. And, while the bill has yet to be fully implemented, it represents a clear statement of the national government’s intent to include vendors in the decisions that affect their lives. What these approaches have in common is the notion that innovation often comes from the informal sector, and that the government has an important role in developing this existing entrepreneurialism. While these types of initiatives are well intentioned and have been successful, they must be undertaken with care. Many programs aimed at improving the livelihoods of street vendors aim to bring them into the formal economy. While the outcome of such formalization varies, in order to truly improve vendor livelihoods, the approach needs to be responsive to their needs. It should not only include “move off streets” or “register your business” measures that impose unreasonable costs on vendors. This, of course, would limit their social and economic mobility and increase inequality in the city, not to mention cutting off consumers from affordable goods they depend on. Instead, formalization must be understood as an incremental and ongoing dialogue with street vendors, reliant on transparent governance. 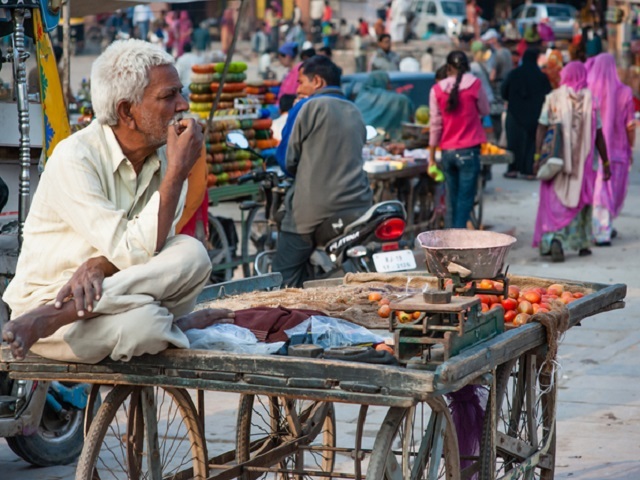 Engagement with street vendors through programs like those mentioned above has the potential to create debate and spur innovation for cities across the developing world. And in some cases, it has yielded success that has benefited both the city and the individual. Freddy, a Peruvian entrepreneur profiled in the Informal City Dialogues, turned his one-person sewing stand into seven formal and profitable textile workshops over a series of years. If informal workers and city governments can reach a state of engagement rather than conflict, and keep their focus on improving the lives and prospects of these vendors, perhaps more informal workers will be able to recreate his example.